Maxwell House Decaf Original Ground Coffee - Get your day off to a good start with a cup of Maxwell House Original ground coffee. This robust blend offers a classic flavor that will appeal to your good taste. Savor the moment with the enticing aroma and delicious taste of Maxwell House Decaf Original Ground Coffee. 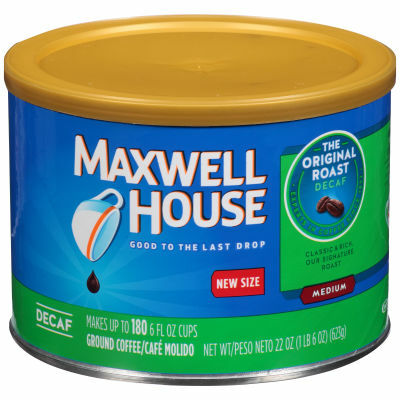 - Decaffeinated Coffee that's Enticing, Never Bitter - For those who enjoy drinking coffee, but want to limit their caffeine intake, Maxwell House Decaf is the perfect choice. This medium roast is good to the last drop and a great way to start your morning.